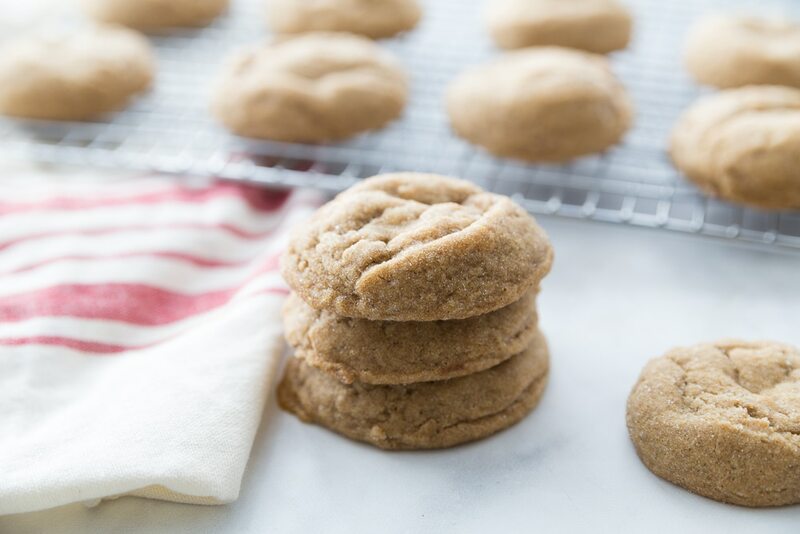 These ginger molasses cookies are soft, chewy, and absolutely delicious! It’s best molasses cookie recipe I’ve ever tried and that everyone will absolutely love! 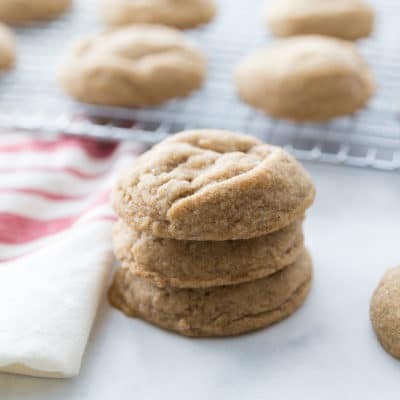 All you need to make these soft molasses cookies are a few ingredients you probably already have around the house and of course molasses! I can’t take the credit for this recipe. My friend Danielle actually made these for one of our cookie exchange a couple of years ago and shared the recipes with all of the girls there. I have her permission to share this here so all of you can enjoy the best molasses cookies ever! Seriously. This molasses cookie recipe is pretty much no-fail unless you bake them too long and then they might get a bit hard and no longer be the soft molasses cookies you’re looking for! These molasses cookies are also perfect to give to friends with these holiday treat tags or these just because gift tags that call for cookies in the tags! 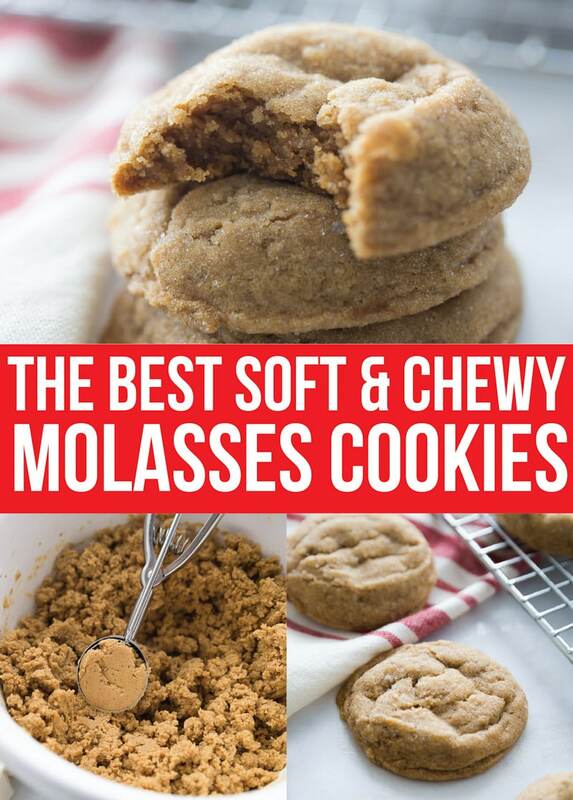 What Makes These the Best Molasses Cookies? Two words – soft and chewy. I’m not a big fan of ginger snaps or the cookies that are meant to be hard. I want my cookies soft, chewy, and flavorful. These soft and chewy molasses cookies are just like the old fashioned molasses cookies your grandma used to make. If you had grandma’s molasses cookies back in the day. And if you’re wondering are molasses cookies and ginger snaps the same thing – they’re not, not even remotely. They use many of the same flavors, but ginger snaps tend to be hard and crunchy, not soft and chewy. Ginger snaps also typically fairly thin, which helps keep their crunch! These are anything but that! What Does a Molasses Cookie Taste Like? It’s kind of hard to describe a molasses cookie but I’ll try my best. They’re sweet (hello sugar! ), a little spicy (as in flavorful, not hot), and tastes like the holiday flavors we all know and love. 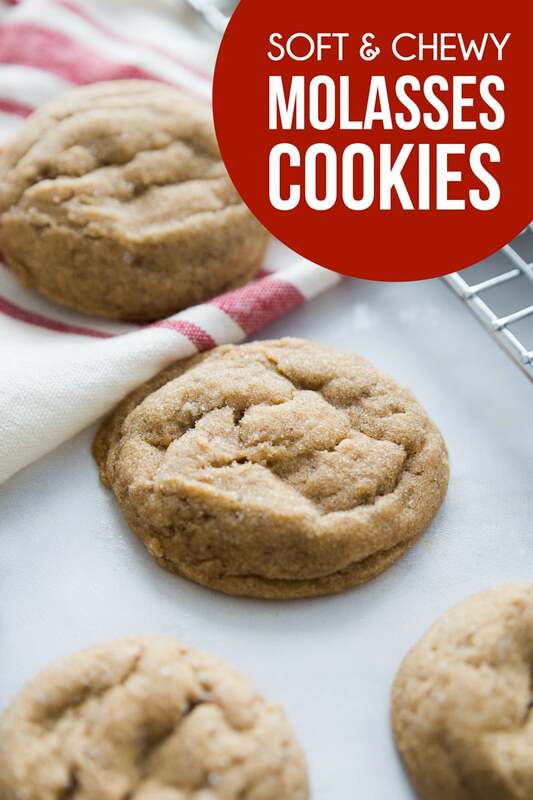 The dark brown sugar also gives them a little bit deeper of a sweet flavor than say snickerdoodles. But really you have to try them yourself because like I said describing what does a molasses cookie taste like is tough. 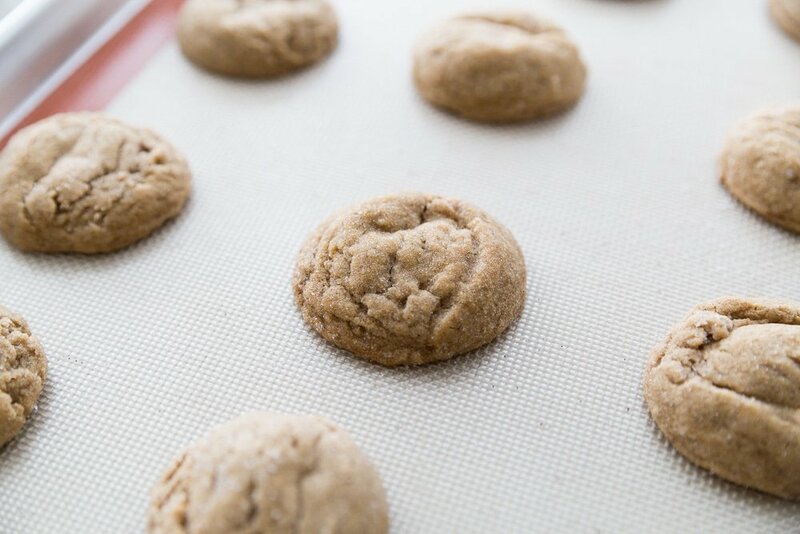 There are a few important things to keep in mind when making these ginger molasses cookies. You need to mix your wet ingredients + sugar in a bowl by themselves. And you need to mix your dry ingredients in a bowl by themselves. Then you need to mix them together until the mixture is well combined. 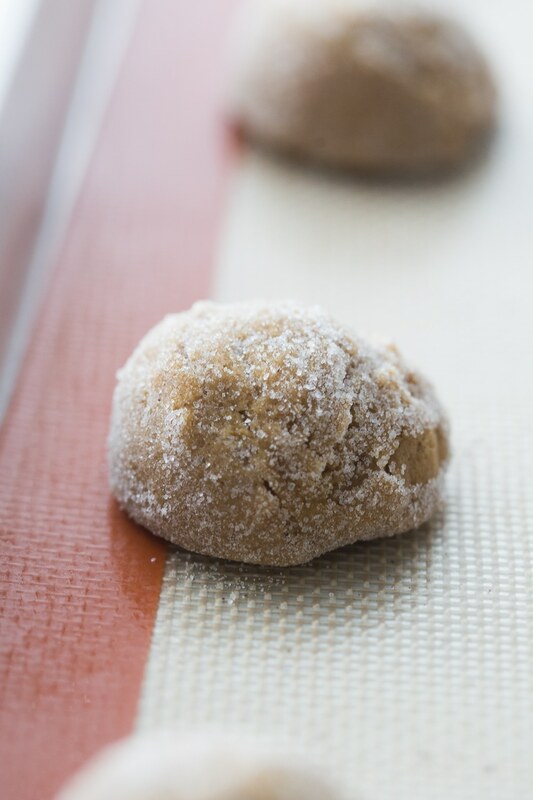 Roll the dough into a ball, roll in sugar like you would with Snickerdoodles, and bake! They’re easy to make, just need to make sure and follow the first step of wet together and dry together or you could have issues! Oh and last but not least – don’t leave them in the oven too long. You don’t want them to brown, just bake all the way through. The instructions say take them out before you think they’re done and it’s true – they continue to cook a bit… but if you leave them in too long, they’ll get hard. And hard is not what you want when you’re going for soft molasses cookies! If you’re wondering what can I use in place of molasses, here’s a molasses substitute recipe. But that being said, I’d still recommend getting actually molasses for these cookies instead of using the substitute. Substitutes are never quite the same. But it’s great in a pinch if you need soft molasses cookies right away and don’t have molasses at home! See how easy it is to make the cookies! Check out the video in this post to see how easy these come together! If you need more holiday cookie ideas, here are some of my favorites! Any of these would be great to go along with these ginger molasses cookies for a holiday cookie exchange! 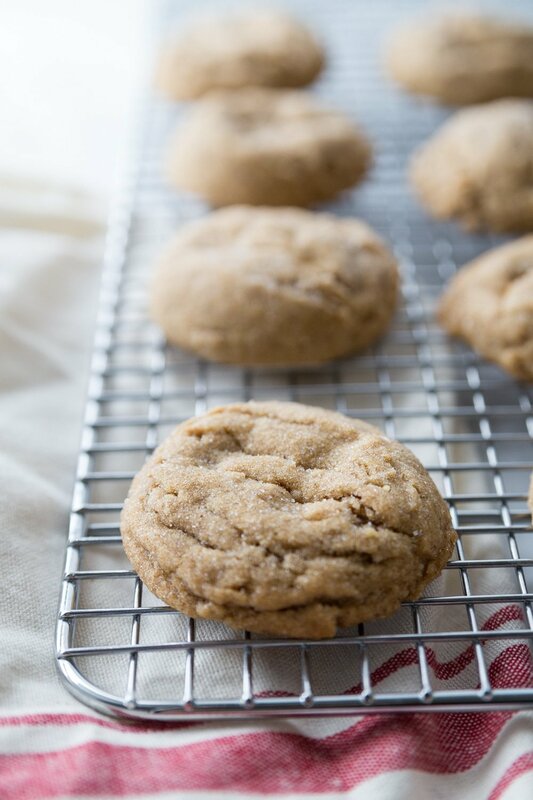 These ginger molasses cookies are soft, chewy, and absolutely delicious! It's best molasses cookie recipe I've ever tried and that everyone will absolutely love! 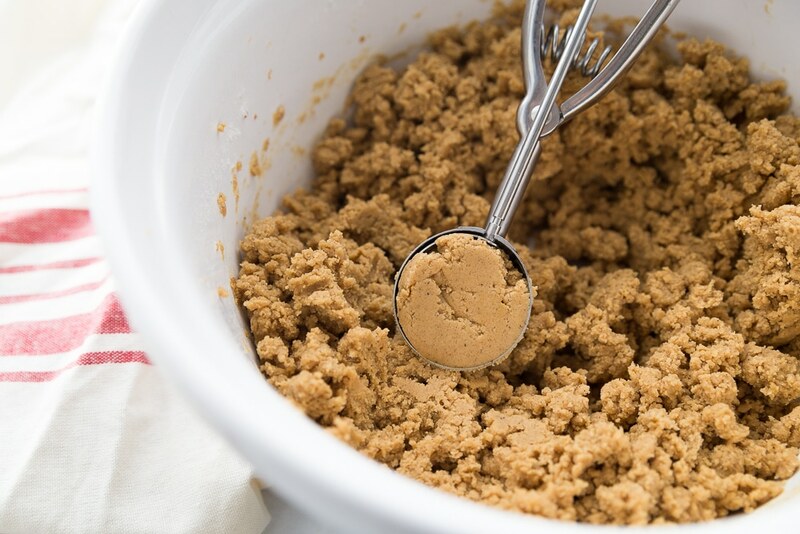 Combine the butter, brown sugar, molasses, and egg in a bowl. 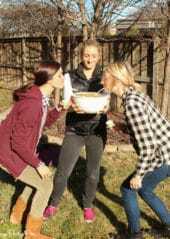 Combine the flour, baking soda, salt, cinnamon, cloves, and ginger in another bowl. 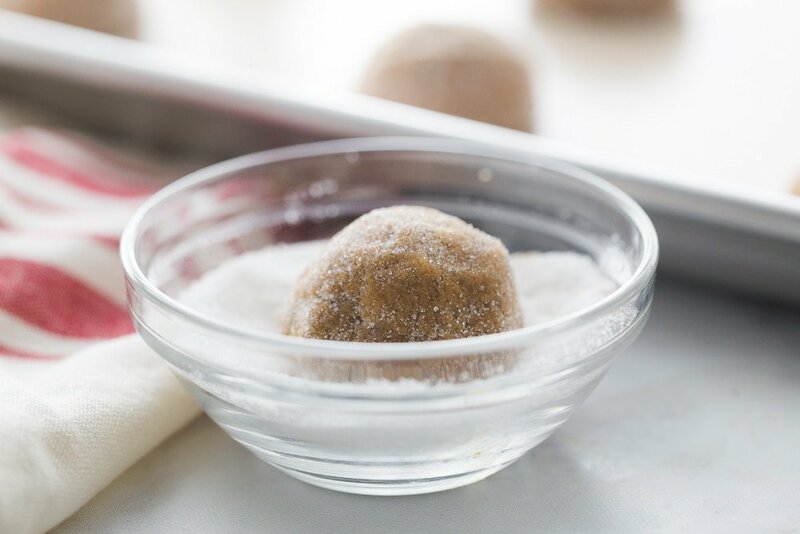 Roll the dough into balls and roll balls in sugar. Bake cookies at 375 degrees for 8-9 minutes, take them out before you think they're done so that they stay soft. Remove from pan and cool on a cooling rack. Don’t forget to pin these ginger molasses cookies for later! 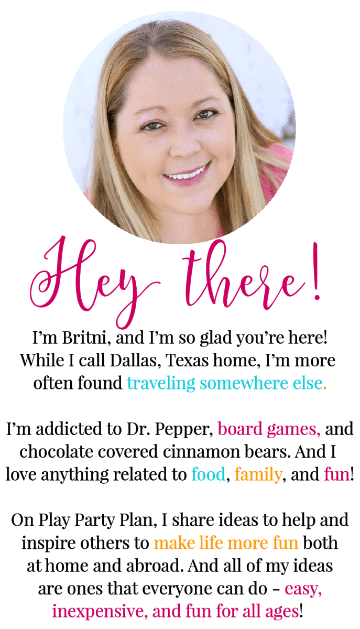 Hi Britni, I’m Laurie from Food is Love! 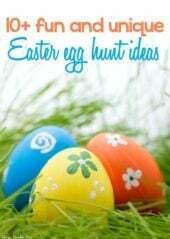 Thanks so much for linking to your post in the Enjoying Yummy Recipes Group! IT made it so easy to find! Your Cookies are Divine! Can’t wait to try them out and share them! Have a Great Holiday! 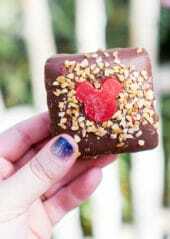 I am so going to try making these cookies! They look delicious! Hopefully we can see you and your family soon! These remind me of cookies I had as a child. I love chewy cookies…pinned and shared! These cookies look delicious! I’m going to have to try these soon. Thanks! I remember having both homemade and store bought molasses cookies as a child. If course the homemade ones were the best! 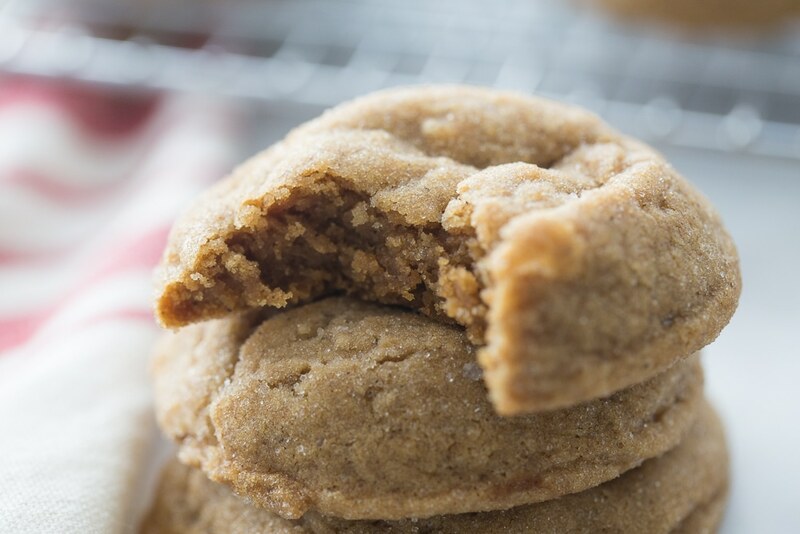 I have been looking for a great molasses cookie recipe and now I have one…these look amazing! I am so excited to try them! Funny – the older I get the more I am enjoying ginger. I can’t wait to give these a try. My husband loves molasses cookies! Thanks for a great recipe.